Reticulate events play an important role in determining evolutionary relationships. The problem of computing the minimum number of such events to explain discordance between two phylogenetic trees is a hard computational problem. In practice, exact solvers struggle to solve instances with reticulation number larger than 40. For such instances, one has to resort to heuristics and approximation algorithms. Here we present the algorithm CycleKiller which is the first approximation algorithm that can produce solutions verifiably close to optimality for instances with hundreds or even thousands of reticulations. Theoretically, the algorithm is an exponential-time 2-approximation (or 4-approximation in its fastest mode). However, using simulations we demonstrate that in practice the algorithm runs quickly for large and difficult instances, producing solutions within one percent of optimality. 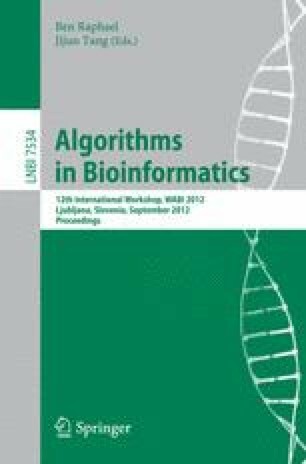 An implementation of this algorithm, which extends the theoretical work of , has been made publicly available.